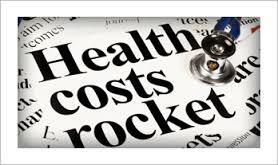 Medical aid scheme membership will cost more in 2016, and most medical aid premium increases will be at above-inflation rates. Significantly, three major medical schemes have announced their increases, all above the 4.7% consumer inflation rate. Bobby Ramasia, principal officer of Bonitas, told HospitalPlanQuotes.co.za that the increase was due to price pressure. Importantly, he said that not enough young, healthy people were joining medical schemes, while claims were increasing at a rate of 11% per years. Medical schemes are not-for-profit organisations that require young, healthy members to subsidise the elderly and sick. Jill Larkan, of GTC Healthcare, said cash-strapped consumers often bought cheaper medical aid options or hospital plans. Perhaps you have a medical aid option that covers 100% of medical aid rates. But that does NOT mean the medical aid will pay 100% of your hospital bill. 100% means that they pay their 100% of the price they set for doctors and hospitals. And if doctors and hospital charge more than the rates, patients may have to pay in. If you are in hospital, ask nurses, medical aids and brokers if your condition is covered as a prescribed minimum benefit. That is because these are chronic conditions and diseases. Medical schemes must pay most of the treatment and medication costs for these. Understand that your medical aid may require you to use a network GP, network specialists and/or network hospitals – or all three. And if they do, and you use alternative doctors or hospitals, medical aids will not pay the bill in full. Gap cover is an insurance policy costing about R100 a month that covers the difference between what medical aids pay doctors for in-hospital treatment and what the doctors in hospitals charge. With more and more people unable to afford full-blown medical aid membership, many are turning to hospital plans, which usually cover hospital stays and specialists’ fees. Medical schemes have started to offer hospital plans too. These are preferable to cash back hospital plans from insurance companies as, by law, medical schemes must cover a wide range of Prescribed Minimum Benefits with every plan they offer.